There is nothing more pleasant than present happiness, start doing this with our template created in tender pastel hues. Beautiful holiday bouquets are demonstrated in two sliders. Each item is supplied with Add to cart button. Auxiliary menu and Contact us blocks can be found in the footer. 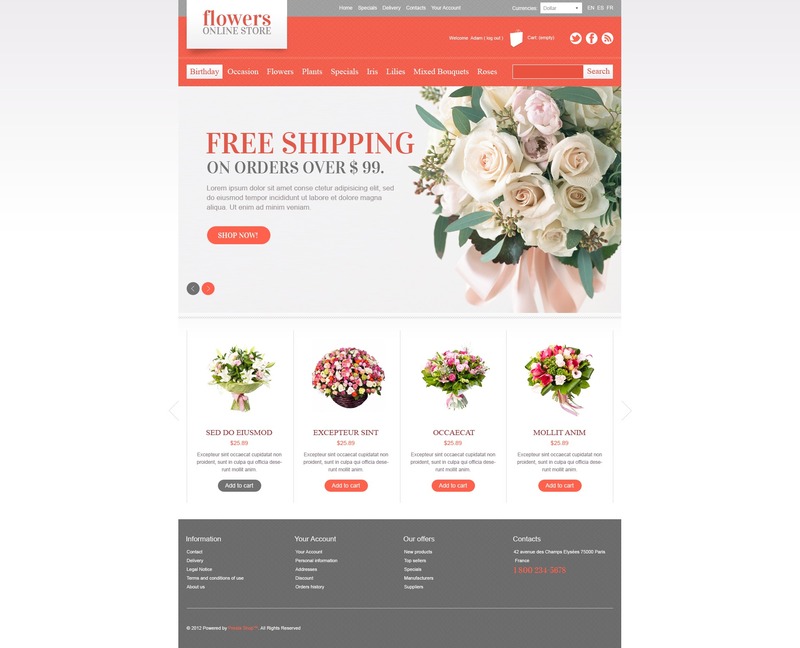 The theme is best suited for flowers, gifts, family, and entertainment shops.